Senior-level Android\Java developer with a proven history of success. Recognized expert with a long list of accomplishments. More than just a good developer, an excellent communicator and leader, with a comprehensive knowledge of the full life-cycle of mobile-focused development and design. Enthusiastic coder with an eye for simplicity, and a passion for writing beautiful, pragmatic code. Developed Android Application designed to serve Video media to medical patients in a secure and simple manner. Worked with startup to maintain BLE Beacon product used in retail stores to track users, and offer location based context information. Helped team work with Alpha customer to release their SDK product to market. Provided customer support, and feature enhancements. Re-designed Demo applicaiton to utilize Material design styles and the new Support Lib controls supporting this. Worked with startup to create BLE based secure mobile payment device. I am a founding board member, and have been involved in many aspects of the business evolution. Developed the mobile client application. It was designed to show the use-case of using our device to pay for metered parking. The app made use of current Material Design and utilized two-way BLE communication. Created visual design for company, including Application interface, logo and branding. I worked with a local design agency to evolve our visual design. Led team of 5 cross-platform developers creating secure messaging platform. App provides secure, standards compliant communication targeting physicians. Team included variety of external resources located across the country and India. App completed successful Alpha launch in Oct 2013. Architected and developed Android app from scratch. App was designed to incorporate modern design patterns (ActionBar, View Pagers, and side navigation controls), and framework components (Fragments, Service Bus, and Asynchronous communication). App was developed as collection of re-useable libraries, which were incorporated back into legacy apps. Redesigned their Android Application to update it to modern UI language. Worked with 1 designer to "re-skin" our existing Android Application. During the process we completely reworked the entire visual language of the app, without effecting functionality. Made extensive use of Android styling and theming mechanisms to create extensible UI framework. Created architecture design documents from business requirements. Oversaw the development, code quality, and security of the application throughout the project lifecycle. Implemented coding standards, and Agile development methodologies to increase quality, reduce maintenance costs and minimize schedule impact. Participated in final development push of flagship “Cardio” app. This is a native Android app designed to enable physicians to remotely monitor EKG data, including monitoring measurements, patient history, and confirming diagnoses. Shipped first quarter of 2013. Guided graphic design team to redesign existing app to match Android design standards. Provided architecture guidance for new ‘Airstrip One’ Electronic Medical Record product. Developed, architected and maintained consumer facing Android Mobile Application. Designed application to ensure it runs well across variety of devices, countries, and languages. Provided leadership and guidance to variety of people (including designers, testers, management, and developers) relating to mobile standards, as well as software best practices, core pattern utilization, and effective use of the Java language. Android application utilized variety of technologies including: Fragments, Custom Map Overlays, WebViews, Location services, and custom view components. App interfaced with a RESTful Web Service using JSON. Member of small team (3 people) responsible for architecting and developing new Reservation Management System. This application replaced 20 year-old legacy system, and was mission critical platform integrating variety of existing systems. Product was foundation for enterprise integration project utilizing SOA technologies (Oracle). Implemented Continuous Integration, and automated testing strategies (utilizing Jenkins, Maven, Robotium, and other tools) to insure product quality. Created build environments for both JEE and Android projects. Created and ran “Geek and Eat” training program. Event encouraged employee technical development, improved cross-departmental relationships, and reinforced corporate culture of “continuous learning”. Led development team in design, and development of Portal for the Distributed Common Ground System for the Army. Team consisted of over 100 developers, employed by four different companies, in seven different states. Architected user front end based on industry approved design patterns and practices. Responsibilities included designing web architecture, creating usability and development guidelines, managing administrative issues, organizing deployments, integrating software, and providing technical direction. Implemented technologies in Portal development including WebLogic 9.2, Struts, AJAX (Dojo), Java Server Pages, JSR168, Content Management, and Java Page Flows. Provided technical expertise to guide adoption of JEE architecture. Influenced key technical decisions regarding visualization, integration, and configuration strategies for entire infrastructure team. Was core participant in full lifecycle of J2EE application implementation. This included application server selection, requirement generation, software development, testing, installation at customer site, and tuning. Project was delivered on time and fulfilled all requirements. Developed variety of infrastructure code including EJBs, JMS implementation, Web Services, and JDBC query classes. Code based on core J2EE patterns. Tuned application server environment to enhance performance. Configured garbage collection, thread allocation strategy, memory footprint, class loading, and hardware profile. Investigated and recommended software development tools, infrastructure hardware/software and technology direction for organization. Created Java GUI interface to Atlas V rocket simulator software. Maintained a variety of Legacy systems. Participated in full lifecycle of software development including analysis, design, implementation, and testing (unit through integration). Selected to participate on team assigned to special project for Canadian Department of Foreign Affairs and International Trade. Project was completed early and under budget. Worked on a variety of different business applications that were written for different dialects (including English, Spanish and French). Installed, configured and maintained equipment related to automated train system at Denver International Airport. Successfully installed operational system on time and within budget. Troubleshot hardware and software failures in time critical environment, demonstrating strong problem solving skills. While with organization, system operated failure free over 99% of the time. Created Web based training system to be used by national organization. Gained working knowledge of a variety of equipment including relay logic circuits, component level electronics, diagnostic tools, signaling apparatus, radio communication devices, and power distribution systems. I have spoken at a variety of national and local User Groups and conferences. Episode 109 - Spoiler Lemur! All About Android 89: What's in the Box? This session is an overview of the Android Developer Tools (ADT), including many useful techniques, tips and tricks for getting the most out of them. As with any set of tools, they are only useful if you are able to identify the right tool for the right job, and know how to find it when you need it. This presentation is designed help every Android craftsman (from beginner to expert) learn how to use the basic toolkit to create the best products possible, with the least amount of effort. These presentations are available from the Slideshare or Prezi links included above. Android is a mobile OS that provides a robust set of tools to allow developers to quickly and easily develop applications to be run on the platform. This workshop will demonstrate some simple steps for getting started developing applications for Android, with a focus on Java developers. The tools used to develop Android applications will be very familiar to anyone currently developing Java software (especially if using the Eclipse IDE). 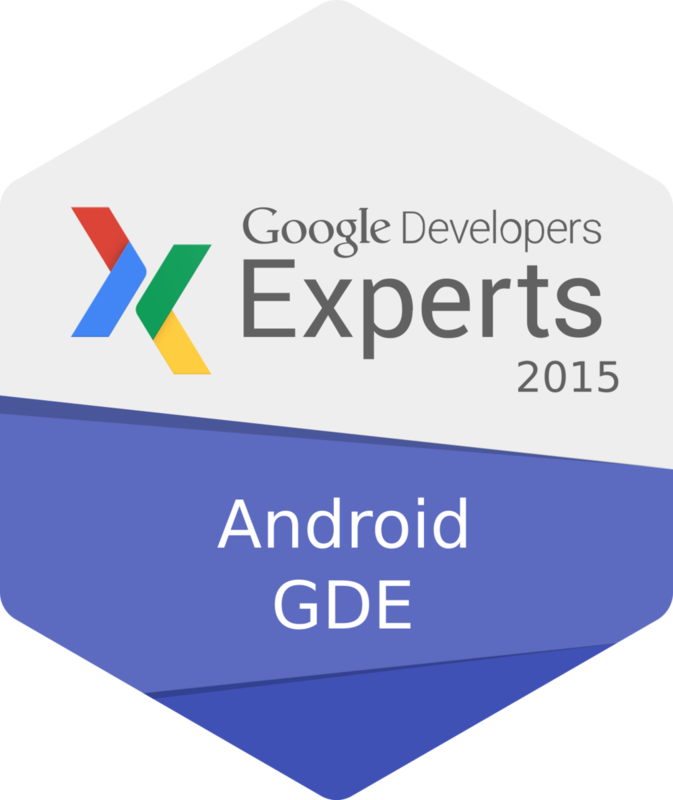 Best-in-class application designers and developers will talk about their experience in developing for Android, showing screenshots from their app, exploring the challenges they faced, and offering creative solutions congruent with the Android Design guide. Guests will be invited to show examples of visual and interaction patterns in their application that manage to keep it simultaneously consistent and personal. Nest member at Phoenix Co-working and Entrepreneurship hub CoHoots. Learned many aspects of computer technology including object oriented design theory, JAVA, C++, LAN/WAN design, UNIX, relational database design and management, HTML, SQL, and software engineering principles. Masters Project: Designing and Implementing Instruction on the World Wide Web. Discussed applying technology to create functional training systems. Project studied interface issues, effective teaching techniques, and utilizing technology to design useful training tools. Learned variety of skills related to Manufacturing Engineering principles and electronics. Specifically studied production scheduling, inventory management, CAD/CAM, ISO 9000 implementation, materials fabrication, electronic circuit design, PLCs, digital controls, statics, mechanics, and statistics.